American University student Allison Higgins will be heading to Belfast, Northern Ireland, this summer to participate in the prestigious scholarship program Fulbright Summer Institute at Queen's University, Belfast. Higgins is a rising sophomore in the School of Public Affairs, studying justice and law. She was selected by the US-UK Fulbright Commission to spend the four-week program studying conflict transformation and social justice. Queen's University, Belfast provides a unique opportunity to scrutinize conflict in a society emerging from it. The program includes examining case studies from Northern Ireland, the Balkans, the Middle East, South Asia, and South America, as well as interpreting the role that religion plays in peacebuilding. Higgins was particularly interested in the Belfast program because the topic of study aligns well with her academic interests in criminology and homeland security. "Lecture topics such as policing and securitization, transitional justice, and more drew me to apply to Queen's University, Belfast," Higgins said, adding that she thinks the program will benefit her as a student by exposing her to a new culture and way of thinking. "We will be looking at the Troubles and I will be living in a city that experienced the Troubles," she explained, referring to the Northern Ireland conflict that spanned most of the latter half of the 20th century. "I hope I can apply that to my studies on the conflicts between police and communities in America, because even though it is a different type of conflict, it is still a conflict." In the future, Higgins plans to continue her justice and law studies through a master's program, and possibly obtain a PhD in the field. She hopes to apply her studies to working in federal law enforcement and would like to contribute to remedying police and community relations. "I am extremely honoured and excited to be able to participate in the Fulbright Summer Program," she said. "I cannot wait to be able to go abroad for the first time and experience another culture so fully." The Summer Institutes form part of the US-UK Fulbright Commission's work to promote leadership, learning, and empathy between nations through educational exchange. The Commission selects participants through a rigorous application and interview process focused not only on academic excellence, but also a focused application, a range of extracurricular and community activities, demonstrated ambassadorial skills, a desire to further the Fulbright Programme, and a plan to give back to the recipient's home country upon returning. 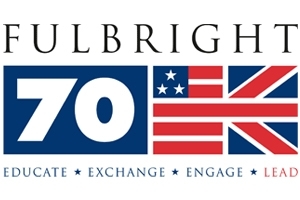 As the US-UK Fulbright Commission marks its 70th anniversary year, "we are so proud of what our programs have achieved, the number of Americans and Brits who have benefitted from educational exchange and of the special relationship that we continue to renew and strengthen," said Penny Egan CBE, executive director of the US-UK Fulbright Commission.